This workshop will focus on recent analysis and simulations supporting the theories of 2D and 3D turbulence. On the rigorous side there are proofs of the locality in wave number of energy and enstrophy fluxes, as well as sufficient conditions for, and connections between energy power laws, cascades, and dissipation laws. 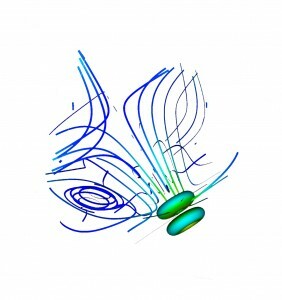 Direct numerical simulations have shed light on mode interactions, intermittency, condensates, and coherent structures, as well as the effects of rotation and stratification. In addition to the fundamental system, the Navier-Stokes equations, these phenomena are examined for a variety of fundamental systems including stochastic models, probabilistic approaches, and quasi-geostrophic, magnetohydrodynamic, and Rayleigh-Bénard convection equations. It is the goal of this workshop to bring together mathematicians, physicists, and engineers who work in the area of Mathematical Analysis of Turbulence. We expect this workshop will attract junior as well as senior participants.